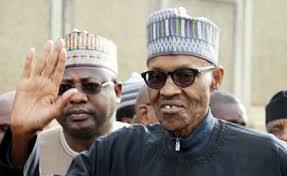 The President of Nigeria, Muhammadu Buhari has departed Daura for Abuja after spending his Eid el-Kabir break. The presidential helicopter with registration no.NAF-540 left the Daura helipad for Abuja at 10.24 a.m. The president was in the company of immediate members of his family, Media Aide Garba Shehu and the Chief Security Officer, Bashir Bindawa and members of the protocol unit of the villa. Buhari was accompanied to the departure point by the emir, politicians, well wishers and security personnel deployed to cover the visit.